Advisors: M. Byrne, phone ext. 2809, mbyrne@palomar.edu; P. Kurokawa, phone ext. 2322, pkurokawa@palomar.edu; E. Weller, phone ext. 3949, eweller@palomar.edu. 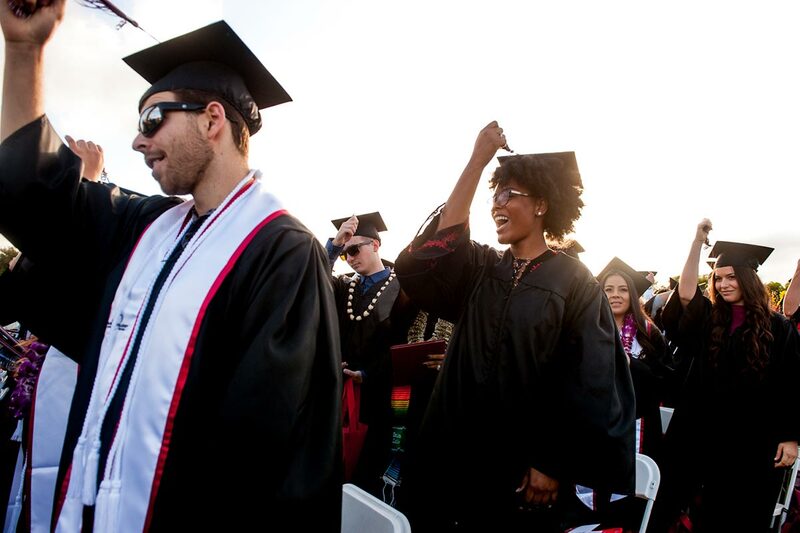 View the Music section of the Palomar College 2014-2015 Course Catalog here. State Regulations (Title 5, Sections 55040-55041) limit the number of times a student may take courses with related content and similar primary educational activities. Therefore, some combinations of course work in Music have limitations on the number of times a student may enroll. Some Music courses may be repeated provided student has not reached the limitation for the applicable group of Music courses. 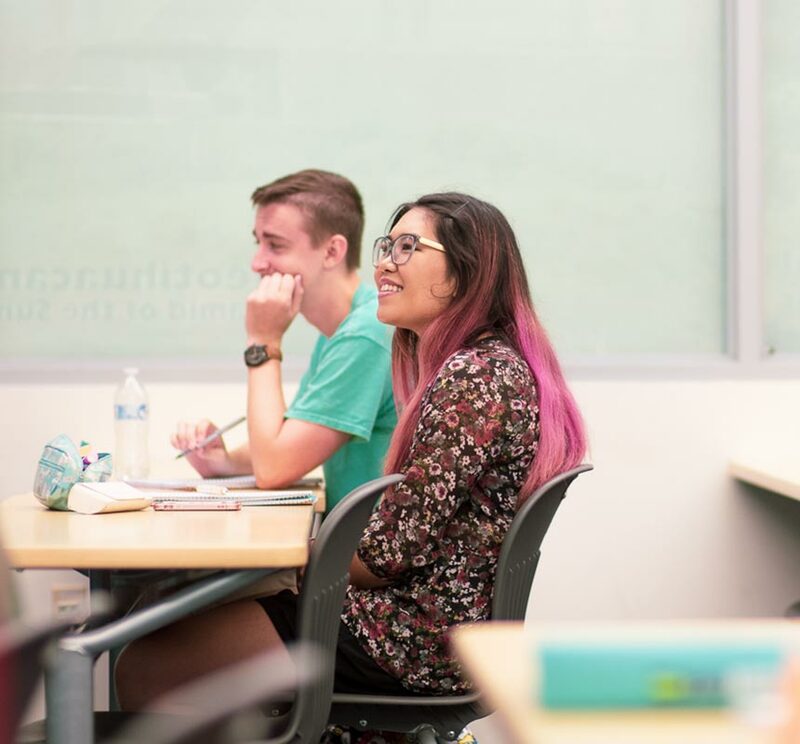 Specific information about enrollment limitations for Music classes is available at http://www.palomar.edu/schedule/restrictions.htm Courses numbered under 100 are not intended for transfer credit. Designed as the entry-level music fundamentals class for music majors, including basic music terminology, rhythm and pitch notation, clefs, scales, intervals and triads. Keyboard and aural skills will also be introduced, along with a concise outline of the major style periods of music history. The ability to read music is strongly recommended and desirable. Provides essential background for advanced courses in music theory. Prerequisite: Enrollment subject to audition Participation in group or solo performances beyond those normally expected in individual study classes. Prerequisite: A minimum grade of ‘C’ in MUS 105 Special study in the areas of music theory, composition, history, or literature. Units awarded in topics courses are dependent upon the number of hours required of the student. Any combination of lecture and/or laboratory may be scheduled by the department. Refer to Class Schedule. Topics in Music. See Class Schedule for specific topic offered. Course title will designate subject covered. A survey course that develops musical listening skills through lectures, discussion, in-class listening to recorded music, and live concert attendance. Stylistic and structural elements, cultural roles of music and musicians, and contributions of technology in Western music are examined through representational works from the earliest notated music to the present. Music from the mid 19th Century to the recent avant garde, with emphasis on understanding the issues and philosophies of modern musical thought. Surveys the historical and musical development of jazz as a unique African American expression from the beginning of slavery in the U.S. to the current global multicultural expression of jazz in the twenty-first century. Emphasis is placed on how racial, socio-economic, and gender relationships between whites, African Americans and Latinos were reflected in and influenced by jazz musicians, and the evolving technological contexts in which jazz has developed. Students become active listeners, and develop culturally relevant aesthetic criteria in contextualizing jazz performances. Training in the fundamentals of music, primarily for the non music major. The course of study includes a thorough acquaintance with scales, intervals, keys and triads, as well as development in ability to sight read simple melodic material and take simple melodic dictation. Analysis and written work in melodic, rhythmic, and harmonic structure of music. Includes review of music rudiments and study of structure and harmonic usage of triads. Required concert attendance. Continuation of MUS 105, extending analysis and written work into all aspects of diatonic harmony, secondary dominants, and elementary modulation. Music literacy is developed through listening and score reading assignments. Required concert attendance. Melodic and rhythmic sight reading and dictation. Required concert attendance. Required for students with a major in music. Continuation of MUS 110 and harmonic dictation. Required concert attendance. Required for students with a major in music. An introduction to basic sound equipment and reinforcement principles. To understand basic set up, operation, and troubleshooting of live Public Address systems in a concert or theatrical setting. Transfer acceptability: CSU Advanced principles of electronic sound, acoustics, equalization and effects processing, recording of live sound in a concert or theatrical setting, equipment management and design techniques. An introduction to the keyboard through the study of notation, basic hand positions, and chord formations. Accelerated class for the beginning keyboard student. Required of all students with a major in music and for music credential candidates. Keyboard experience through the further study of notation, scales, and chord progressions. Sight reading and improvisation. Piano techniques including scales and arpeggios, sight reading, and ensemble playing. Required of all music majors and for credential candidates. Skills and competencies required in the elementary school classroom including basic music theory, sight singing, classroom instruments, voice, and a useful repertoire of songs selected from State adopted music textbooks. It is recommended that students lacking a basic knowledge of the piano enroll in MUS 115 concurrently. Introduction to the basics of singing. Includes proper breath control and posture, practice techniques, diction, and performance of simple song literature. Establishment of a basic repertoire for the singer. Rehearsal and performance of folk songs; musical theatre; and Italian, German, French, and English art songs. Rehearsal and performance of standard choral literature for women’s voices. Trips to college choir festivals and performances in the community and at Palomar College. Transfer acceptability: CSU Rehearsal and performance of choral and chamber music for voices. Attendance at all scheduled performances is required. Rehearsal and performance of standard choral literature. Trips to college choir festivals and performances in the community and at Palomar College. Rehearsal and performance of standard oratorio and choral literature. Attendance at all scheduled performances is required. A group of singers specializing in the performance of jazz, gospel, rock, musical theatre, and popular music. Improvement of musicianship and concept of style. The ensemble gives campus and community concerts. Attendance at all scheduled performances is required. Rehearsal and performance of vocal musical theatre literature. Attendance at all scheduled rehearsals and productions is required. Study, rehearsal, and performance of standard concert band music. Rehearsal and performance of standard stage band literature. Opportunities for students to arrange and compose for the band and rehearse the ensemble. Attendance at all scheduled performances is required. Rehearsal and performance of chamber music literature for brass. Performance practice considerations for ensemble music from various periods of music history, with an emphasis on music reading and classical technique. Rehearsal and performance of chamber music for voices. Rehearsal and performance of musical theatre literature. Attendance at all scheduled productions is required. Extensive reading and rehearsing of jazz and jazz rock literature. The study of the life and compositions of such composers as Bach, Mozart, Beethoven, Schumann, Bruckner, and Stravinsky through documentary and biographical films accompanied by lectures and discussions as well as biographical film sketch of Authur Rubenstein. A survey of world music including North American Indian, Mexico, India, Japan, Indonesia, Middle East, China, Africa, and South America, with emphasis on understanding the cultural background, instruments, musical characteristics and the impact of world music on the 20th century culture. Transfer acceptability: CSU Study and preparation of professional level materials for the large jazz ensemble. Transfer acceptability: CSU Rehearsal and performance of solo and group scenes from Broadway musicals dating from the 1930’s to the present. An introduction to the fingerboard through the study of notation, basic hand positions, and chord formations. A continuation of MUS 175 with a more in-depth study of the classical, flamenco, blues, and jazz styles. Theory, technique, and interpretation will be thoroughly explored. Guitar techniques in the classical style, with emphasis on sight reading and ensemble playing as well as performance of guitar literature from the Renaissance through the early 20th Century. Students will learn necessary terminology, harmony, rhythm, and additional techniques in order to develop a basic knowledge of Flamenco Guitar. This course is designed to give students an understanding of basic computer music application including sound design, MIDI, and music notation software. Transfer acceptability: CSU An overview of digital audio techniques. Topic in sound synthesis, sound design, and sampling. Transfer acceptability: CSU Instruction in music technology, composition, and performance. Students will compose and participate in performances of original works for electronic, computer, and acoustic instruments. Students will work on individual computer music compositions. Instruction will include, but is not limited to, computer music software and hardware overviews. This will include composition and notation techniques, music analysis, detailed work on specific software applications, music publishing information, and rehearsal and part preparation. Students may also take this in conjunction with computer music classes in order to receive further tutelage with that class material. Workshops in various special topics in music. Study, rehearsal, and performance of a wide variety of orchestral literature from the Baroque, Classical, Romantic, and 20th Century styles. Attendance at all scheduled performances is required. Analysis and written work in altered chords, chromatic harmony, modulation, structural form (sonata allegro), and 20th Century developments. Required concert attendance. Transfer acceptability: CSU; UC Analysis and written work in two and three voice counterpoint in the 18th Century style (invention and fugue). Required concert attendance. Continuation of MUS 111 and four part harmonic dictation. Introduction to chromatic dictation. Required for students with a major in music. Continuation of MUS 215 and contrapuntal dictation. Required for students with a major in music, but open to all students. Individual lessons with music instructor developing basic techniques in applied music. Student is required to practice on campus, be concurrently enrolled in a music ensemble, participate in Performance Studies class, and perform for music juries at the conclusion of the semester. A combination of private studio instruction in instrument or voice with an off campus instructor, plus on campus training in performance skills. 1. Fourteen clock hours of instruction with a private instructor and adequate practice time are required. 2. At the end of the semester the student will be required to perform for the Music Faculty. Chamber music ensembles for advanced performers. Enrollment subject to audition. Provides students with a practical knowledge and proficiency in concepts pertaining to jazz piano, including reading chord symbols, chord voicings, stylistically appropriate accompaniment, and improvising in a jazz and/or pop music idiom. Continuation of piano techniques with emphasis on improvised accompaniments, sight reading, ensemble playing, pedaling, and practice techniques. Techniques of, and practical experience in, piano accompaniment for ensembles, vocalists, and instrumentalists. Practical conducting methods for choral musicians. Discussion and study of issues concerning musical rehearsal and performance with treble, SAB and SATB choral ensembles. Survey of keyboard literature presented in a master class format. Analysis of styles and techniques of solo and ensemble performances. Units awarded in topics courses are dependent upon the number of hours required of the student. Any number of laboratory hours may be scheduled by the department. Refer to Class Schedule. Prerequisite: Enrollment subject to project approval. Transfer acceptability: CSU; UC – credit determined by UC upon review of course syllabus. Advanced music projects including individual research, tutoring and performance for college classes and community projects.